Back in November I attended The GAP Project’s annual general meeting. As well as covering the formalities of the project’s operations it was an engaging celebration of the project’s achievements over the past year. Kent Community Foundation connected The Lawson Trust with this dynamic project in February 2017. 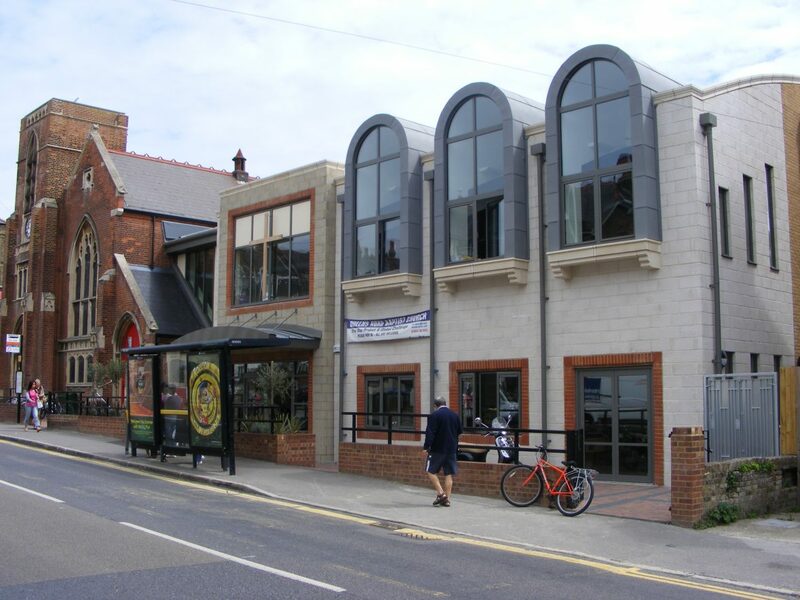 The organisation plays an active role in the community of Broadstairs and Thanet from its base at Queen’s Road Baptist Church, offering a drop in for homeless people and the vulnerably housed; clubs for pre-schoolers and their parents; education and training sessions; and groups for older people. However simply listing off just some of the project’s offerings doesn’t do the team at The Gap Project justice! Throughout the evening there was a whole host of people willing to stand up and testify how The GAP Project impacts on their lives, both in the smallest of ways and the more life altering of ways. Clara’s account of how the project had changed her life was nothing short of amazing and there wasn’t a dry eye in the house. It’s worth mentioning that Clara had never spoken to an audience before and there were 95 people present at the AGM. Clara has kindly agreed to us sharing the story she recounted that evening. The month of January seems like as good a time as any to share this tale of transition and new beginnings! Thank you so much to The GAP Project and Clara for the opportunity to share such an inspirational testimony. “I started volunteering at the Gap Project in February of 2017. I am an adult with high-functioning Autism and have suffered for over ten years with multiple anxiety disorders and depression. At the time of joining The Gap Project I was unemployed (having never been employed), but I had just been reviewed for ESA and been deemed fit for work. I found out about the project through my grandmother, who is a chiropodist and had been volunteering a couple of days a week treating the feet of the homeless. At the time of joining the project, I was in a weird and dead-ended place. I lived with my mother and rarely left the house. I don’t drive, and I was afraid to use public transport by myself. I had met my partner about three months before and was still going through the early stages of that relationship and going out with him in the evenings which was very weird to me; and I desperately wanted that “normal” aspect of life where I had a workplace and a network and a purpose, but at the same time was held back by severe social anxiety, fatigue from my anxiety medication, and lack of experience and communication difficulties brought about by autism. The Gap Project appealed to me in that it seemed like a wonderful cause to be helping out with, and a great network of people to maybe find my feet in. I had a casual interview with Kate about the project and what I might bring to it and what they might be able to help me with. I was treated with sensitivity, so I was able to explain a bit about my history and my situation without feeling judged. I was asked what I would like to do within the project and I told her my passion was my hobby of graphic design. The project was potentially looking for a new logo to replace their old one and offered the idea of working in the IT suite on the computers there, where it’d be quiet and not too social, and I could just quietly get on with my work. I was also invited to come out and interact with the rest of the building at leisure, but it seemed Kate knew as well as I did, my preference towards peace and quiet! So, I began coming in two afternoons a week to the project. I took my next big step of using public transport by myself to get there (I lived in Margate, travelling to Broadstairs). I was able to work out that the project was directly accessible through the Loop bus route, and that there was a bus stop not far from me. I would walk 10 minutes to my bus stop and then travel 30 mins into Broadstairs on the bus. Once I had done this a few times I realised it wasn’t terribly scary and was actually very routine. I began to gain confidence in travelling by myself on the Loop, as it’s quite difficult to go wrong with it (It just goes in a big loop!). My boyfriend’s parents lived only up the hill near Pierremont Park, so I would end up going there after Gap for dinner, which again cemented a new and enjoyable routine for me. In the first few weeks of my work I also met Gill and Chris. I was given honest feedback on my work and I learned how to work with constructive criticism. We honed the new logo until it was suitable, and I was overjoyed when the project decided to use it as the new official logo. This was a big milestone for me – putting myself in that position and collaborating with the Gap staff to perfect the work and make sure it met their needs was an important achievement for me in social skills and teamwork as well as creativity. At all points through the process, The Gap Project staff have been supportive, helpful, kind, and offered plenty of creative ideas of their own to try. After the new logos were finished, I began working with Chris on sprucing up the Baptist Church’s website a little bit. I was able to help her with a plethora of website tools and gadgets and together we managed to give the website a total makeover and add some handy photo gadgets to it for displaying galleries of the church’s recent events. I also began to do a little work with Ella for the youth groups, making a few posters and flyers for her various groups. Ella would pop into the IT suite for a natter and I found myself not resenting the intrusion at all, but rather looking forward to it, and seeking Ella out to say hi whenever I was in. In spring I was put in touch with a lady called Janine who works for an organisation called Social Enterprise Kent. Their main premise is to help adults with long term conditions back into work. I was extremely grateful for the connection and SEK ended up being a key point in my future success. The project was accommodating in that they were perfectly happy for my SEK worker to come in to the IT suite when I was there and work with me there for my twenty-minute appointments with her. In July, I started on an IUP course with GoTrain, an organisation that offers free training to people out of work and on certain benefits, and in connection with the Job Centre. During my time here, I applied for an apprenticeship job, got an interview, and was offered the job (an apprenticeship with the NHS). For this interview I had to use public transport to travel to Whitfield in Dover and back by myself. It was terrifying, but thanks to the months of support from The Gap Project and my regular excursions further into the world, I was able to successfully do this with no problems. Once I found out I had been given the position, my partner and I, who had been talking about moving in together for a few months, decided to go for it and move to Folkestone (a town that we both love, and is closer to both of our works). This of course meant that I was leaving the project, and it was with bittersweet feelings I announced I would be moving on. The project has never failed me in their undying support and it continued then.